The H flume and related HS & HL flumes are gaining in popularity due to their ability to handle wide ranging flows that can vary by as much 100:1 or more from low to peak. 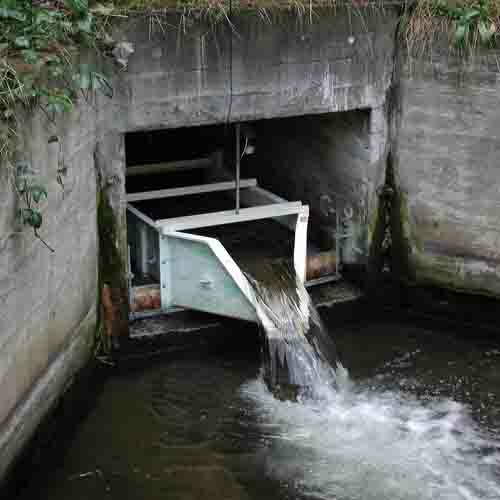 Because of the unique throat, which resembles a weir in some respects, the H flumes provide excellent resolution at low flows and still have capacity to capture peak flow readings on many 15 to 25 year storm events. 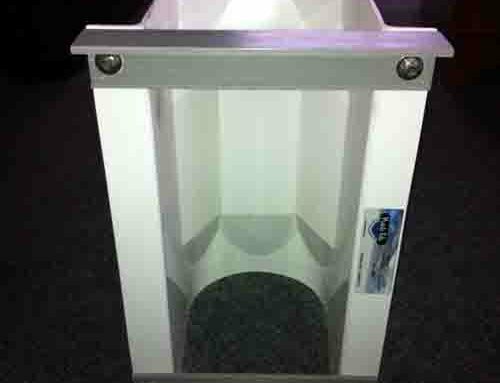 H flumes have a flat floor that must be installed level with the approach section or entrance channel. Flow must be able to free fall or spill from the end of the flume in an unimpeded manner. 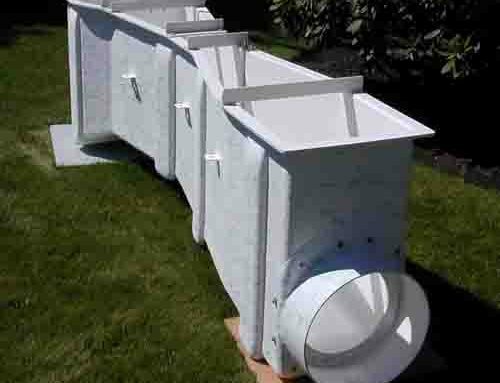 H Flumes are more tolerant of slope and velocity than any other style of flume. Complete flow charts for each size h flume exist, but simplified flow equations are not readily available. The wall height and configuration of the throat denote H flume size. HS Flumes have a more restrictive outlet orifice to increase low flow resolution, and are used on small flow streams. H flumes cover the mid-range up to about 53 MGD. The HL flume spreads the throat opening slightly and can measure flows as high as 74 MGD. The H flumes will normally be preceded by a rectangular approach channel that is approximately the same width and depth as the flume, and a minimum of 3-5 times the flume height. 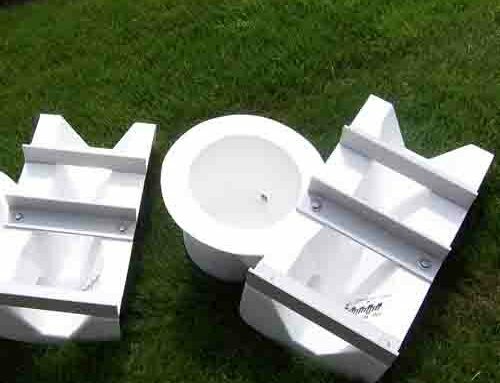 Approach sections are available from Plasti-Fab, and these can be adapted for connection to a pipe.